Alaska has always been seen as a land in which nature and civilization are in a constant struggle for dominance. This story out of Douglas Island, Alaska serves as a reason why that is still the case. At around 6:30 in the morning on May 25, a man was outside of his house when out of nowhere a 725-pound Brown Bear made its appearance on the man's property. 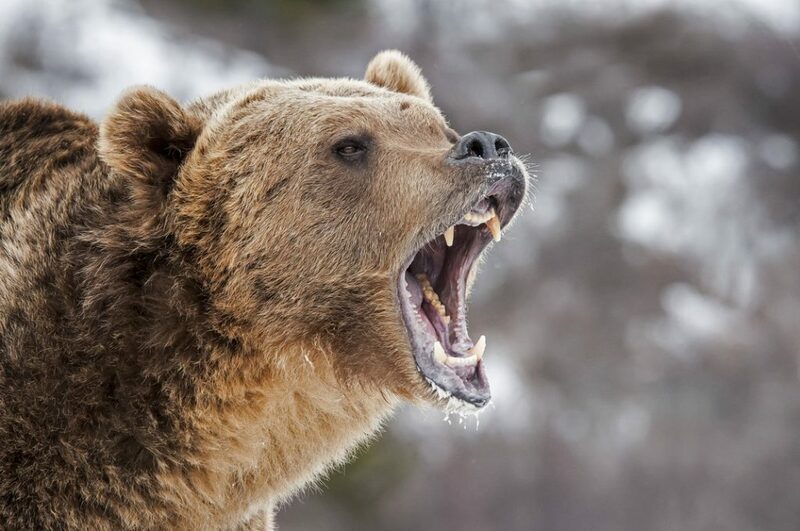 According to wildlife experts, a Brown Bear, even one of that size, is not likely to ever attack a human. Rather, it would be afraid and run off. This was not the case with this encounter, however. According to Department of Fish & Game wildlife regional supervisor Ryan Scott, the man had seen the bear and noticed pretty quickly that it was not following the normal “bear rules” because this animal just kept coming towards the man. Those were the words of Ryan Scott when describing the course of action the man took at that moment. The man took out his firearm and did exactly what he felt he had to do and began shooting the bear, eventually bringing it down. The chance of a Brown Bear having to be shot in self-defense is incredibly rare for Douglas Island, as this is only the second known case of such an event occurring since the 1970's, but it does go to prove correct a common argument among those of us who carry a weapon for self-defense: Just because something rarely happens, doesn't mean it never happens. And, to take on the common concealed carry proverb: It's better to have it and not need it than to need it and not have it. Of course, that statement is in regards to having a gun, and I can honestly say that I'm sure this man was happy to have his gun on him on that day. You are not likely to run into many Bears on your daily travels, especially those of you who carry in a large town or city, this story in the wilderness of Alaska goes to show that a gun is a perfect tool for keeping yourself and those around you safe in any circumstance against the human predators that many of us come into contact with each day. We hear many stories of people foiling robberies or home invasions with their guns, but I believe that this story goes to prove that even extraordinarily rare situations such as Bear attacks can be defended against, when you make the choice to put your gun on in the morning, just as you would your shoes. Granted, you wouldn't be carrying a .454 Casull (or larger) revolver which is the smallest you'd likely want against a brown bear, as your EDC weapon, but that's not the point (and, ideally you'd want a long gun over a handgun for an attacking bear). Having a gun on your side to protect against an attack of any kind is the best way to stay alive against human predators. That's the point. If you're reading this and it has spurred something in you, we have a FREE downloadable resource entitled “Survive Anything” that is designed to teach you, quite literally, how to survive just about anything. Hit that link to get it. Episode 131: After Congressional Baseball Shooting, Is It Time For National Reciprocity?